I am about to introduce to you the scholars, the employees, and the activities of the Institute of Social Sciences Ivo Pilar. To supervise and lead such an institution and such an exceptional team is not just a job but a rare honor and a source of personal satisfaction. We have founded this Institute ourselves because we love to explore, to compare the results of scientific research and to exchange scientific information with anybody anywhere. Our motto is Through research to facts, and so far we have conducted a lot of research and published a large number of books, studies, and reports. From an institution with just a few Doctors and Masters we have grown to be an Institute of 95 scholars. Most of them started their careers within the Institute itself as scientific novices. Our research is up-to-date, multi-disciplinary, and applicable. We are a reliable partner always accomplishing our task at the highest level of quality. Read our publications and see for yourself. 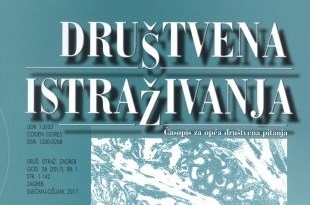 Our journal Društvena istraživanja (Social Research) has the status of an international scientific publication and many of our books and studies have won recognition and awards. We have organized and participated in numerous national and international gatherings. We lecture at institutions of higher learning using the results of our research thus ideally combining research and teaching. When we are done with our work, we like to celebrate because success at the workplace fills us with happiness and satisfaction. Please join us, and get to know us. Our partners have learned that only on the basis of research and fact-finding can one explain the past and predict the future. The Institute of Social Sciences Ivo Pilar was founded by a decision of the University Assembly of the University of Zagreb on November 26, 1991. By the Law of Institutions of 1993, it became a public institution; and by the Law of Scholarly Research of the same year, it became a public institute of the Republic of Croatia. The original name of the Institute was the “Institute of Applied Social Research”. It was renamed “Institute of Social Sciences Ivo Pilar” by a decision made by the Governing Board on February 18, 1997. 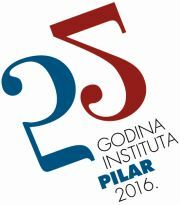 The Institute has regional centers in Osijek, Split, Pula, Vukovar, Gospić, Dubrovnik, and Varaždin. The Institute is governed by a Governing Board and Director, both nominated by the Minister of Science and Education of the Republic of Croatia. Scientific matters are supervised by the Research Council. The Research Council has 59 members. The Head of the Research Council is Nenad Pokos, Ph.D.
Director of the Institute is Vlado Šakić, Ph.D. His Assistant is Ljiljana Kaliterna Lipovčan, Ph.D.
● Scientific research in the field of social sciences and humanities – basic, applied, and developmental. ● Professional research, expert consulting, and other intellectual services in social sciences and humanistic disciplines. of economy, engineering, technology, medicine, natural sciences, and ecology. ● Strategic analysis and research. ● Public lectures and book presentations. ● Scholarly and professional gatherings. ● Library activity and documentation gathering. The Institute possesses its own library which contains professional literature, reference materials, dictionaries, etc. It has over 6,000 volumes accessible to both the members and extramural research associates. The Institute is supplied with information technology linking it, through the Croatian Academic Network, the CARNet, with information networks in Croatia and abroad. The Institute has developed a comprehensive network of cooperation with foreign and local institutions, organizations, and researchers, and with international and regional governmental organizations, institutions and associations, and NGOs. Since 1998 the Institute has been awarding a medal with the likeness of Ivo Pilar (a work by the Academic Sculptor Stipe Sikirica) to outstanding scholars and scientists. The first such medals were awarded to the Institute founders – distinguished academic and public figures. Heirs to Ivo Pilar have donated to the Institute a series of original documents which are kept in the Institute’s safe; copies of which are on exhibit. A respected attorney in Sarajevo, Tuzla, and Zagreb; politician, publicist, sociologist, and the father of Croatian geopolitical science. Having studied law in Vienna and Paris, Pilar practiced law in Sarajevo, Tuzla, and Zagreb until his unexplained and questionable “suicide” in 1933. He was the founder of the “Croatian National Union” for Bosnia and Herzegovina (1910). During the First World War he advocated retaining the integrity of the Austro-Hungarian Monarchy, including the Croatian lands and Bosnia and Herzegovina. After the war he was an opponent of the Greater-Serbian regime, and supported the idea of federalization of Yugoslavia. Pilar also studied the sources of Bogumilism (Bogumilism as a Religious, Historical, and Socio-Political Problem, Zagreb, 1927). He wrote philosophic treatises, and was one of the founders of the Croatian Moderna movement in visual arts. In the article entitled “The Secession” in the Vijenac (1898), he pleaded for artistic freedom, democratization of the arts, and a place for new art techniques (poster art, reproductive arts). 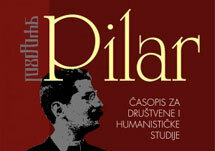 Pilar was the author of the first political geography of Croatian lands (1918). In his main work, Die Südslavische Frage (The Yugoslav Question) which was published under the pseudonym of L. von Südland in Vienna in 1918 (Croatian translation by F. Pucek, 1943), he proposed unification of Croatian lands, and rejected state union with Serbia (from Hrvatski leksikon, II, Zagreb: Naklada leksikon, 1997).